Okay, today’s post is in response to Lucia’s request to share my current skin care routine as well as the skin care products I use. I think I’ve done a post like this last year and so it’s time to update because my routine has obviously changed. Personally, while I don’t switch products that frequently but I find it important to review our skin changes and adjust accordingly over time. So my skincare routine might change on a yearly basis and being a beauty blogger, I do experiment with new products although I try not to be too adventurous. I actually believe there are synergistic benefits to be reaped when using products from one brand and hence, I prefer to stick to one brand if possible. 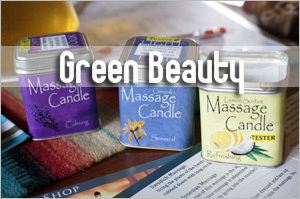 So you will notice that most of my products are from Marie Veronique Organics. 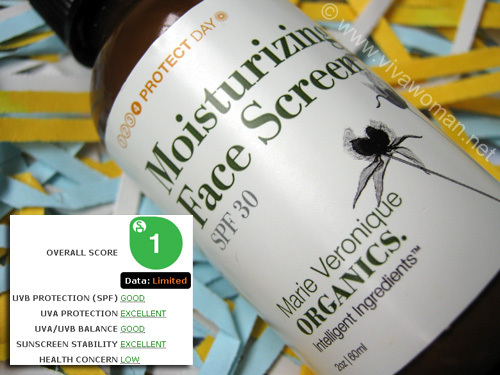 Before using the Anti-Aging Oil+, I was actually using the MVO Sun Protection Oil until it ran out. And by the way, I’m liking the Mukti Gentle Foaming Cleanser very much and am so surprised that I can stretch the small bottle for so long. After this cleansing, I’ll either apply my homemade oat mask every alternate day, or I’ll be using the Mukti Vitamin Earth Mineral Masque once or twice a week. I only scrub my face once a week or when I remember to with the Petite Marie Organics Cleansing Powder. 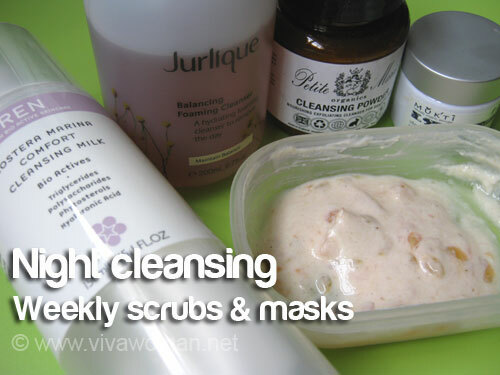 My night time skin care routine varies a bit. On some nights, I’ll use all of these and on some nights, I’ll go light and just apply the Moisture Serum, followed by the Anti-Aging Oil+. I used the first two products on my face first but I’ve since stopped because I can’t be using so many stuff and instead of wasting them, I’m using them on my neck. I take supplements for my skin daily and at the moment, I’m taking Kordel Mega Acidophilus in the day to keep my acne at bay and AFC Japan Collagen Beauty in the night for firmer skin. Other than taking the supplements, I always massage my face at least once a day using the Tanaka face contouring massage method. Okay, since I’m showing you what I’m using, I should show you how I look without makeup but just with the MVO Moisturizing Face Screen as my base. This picture was taken maybe two weeks ago in natural lightings without flash. I don’t profess to have good skin but I think I’m quite happy with how I look considering I’m 45 and that I don’t go for any aesthetic treatments and for this year, I’ve probably only gone for two or three facials. Oh and by the way, I only diligently started wearing sunscreen in my mid 30s. Before that, I was either not using sunscreen or not using them properly. So yeah, if you start using sunscreen earlier, chances of getting sun spots like mine are lower for sure. Thanks for sharing your regime with us! Coincidentally, updated mine too recently and will be posting it out soon. My regime is almost the same as yours, MVO products are my main items and doing wonders to my skin…esp the Moisture Serum and Vit C combo! Oh great…looking forward to reading it! MVO stuff are great…my fave of all is the Anti-Aging Oil+. Have been using that quite consistently since early last year. hi sesame, i’m quite keen to purchase the kordels supplements for my acne but what does the supplement do? Is it suitable for 23yrs old and below? It’s a multi-strain probiotic formula that promotes friendly bacteria found in our gastrointestinal tract, particularly in the colon â€“ helping to maintain a healthy balance of intestinal flora by suppressing the growth of pathogenic fungi and bacteria. I found that it helped me in my acne issues because mine was due to a digestive issue. 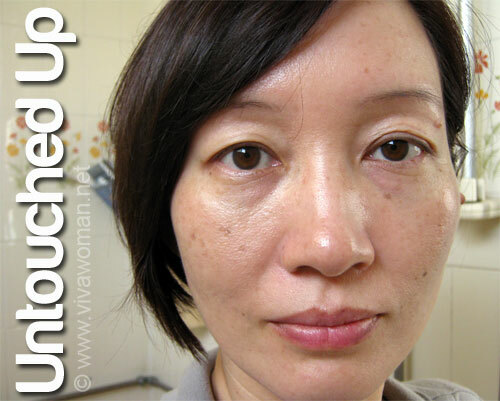 I wrote about it here: http://www.vivawoman.net/2010/04/22/fibre-and-probiotics-for-acne-free-skin/. I don’t see age as an issue in taking this. 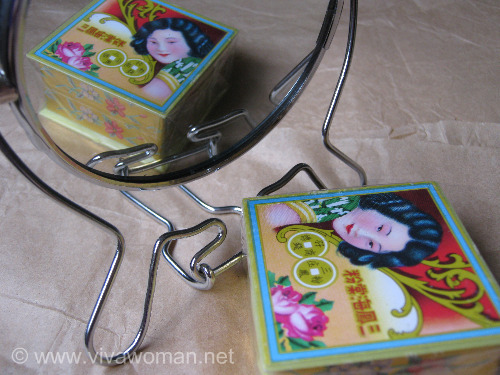 Even without acne issues, I find this would generally help to keep our digestive system healthy. A better version of drinking yakult or vitagen. You do look very good for your age! 🙂 I really wouldn’t guess your real age just looking at your bare face. Stephanie/Yukaeshi last post is: I Survived My GRE! I typically try to use products from the same brand first and if I can’t, then I explore others. But I change cleansers often cos I want to experiment, and it’ll give me something to write about. Aww…thanks Xin! 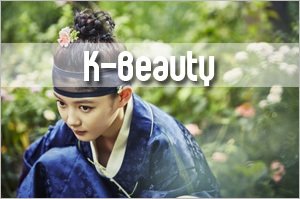 You’ll definitely look gorgeous when you grow older cos you have very good skin to begin with. Maintain and you’ll surely be able to look 20 years younger! Oh you look great for your age which is attributable both to your diligent skincare routine and genes I’m guessing? Thing about sun spots or freckles (for me) maybe partly genetic or skin type because I’ve been using sunscreen from a very young age but still have them. 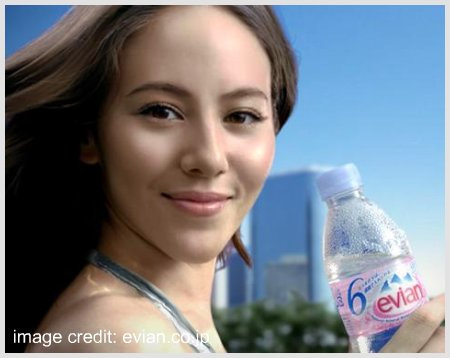 Paris B last post is: Your Say: Is there a popular brand of cosmetics you cannot use? I see…yes, freckles are genetic but not too sure about sun spots…most probably due to skin type and fair skin pple are very prone to it even with sunscreen being used. Personally, the better part of my skin is probably attributable to my diet – I was fortunate that my mom fed me well when I was younger. You look good for your age, sesame! None of those deep wrinkles or parched dry skin. 🙂 I realised that I am using the same brands (but different range) as you because I read a lot of your reviews. 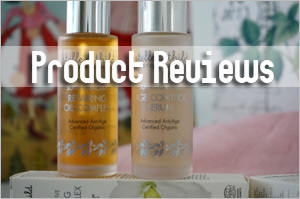 Could you do a review Mukti products that you are using? I am waiting for your reviews before deciding whether to try them or not. I’m glad the Snowberry range is working well for you. I actually like it but decided not to use the serum long term because of the retinyl palmitate. I might have used it for around 2 months before deciding to stop and use it on my neck. But it did well for me while I used it. For the Mukti products, I only used the cleanser and the masque so I can only write for both. You’re welcome Lucia. When you asked me and you mentioned inspiration, I thought it’s good to share and let others know to what extent just using skincare products and doing some simple massages can help without going for expensive aesthetic treatments. However, I have mentioned in other posts that I did have one sun spot lasered off like 7 or 8 years ago; it was a spot I developed in my early 20s so not using sunscreen then was damaging for me. That’s wonderful to know! Thanks, Sesame! 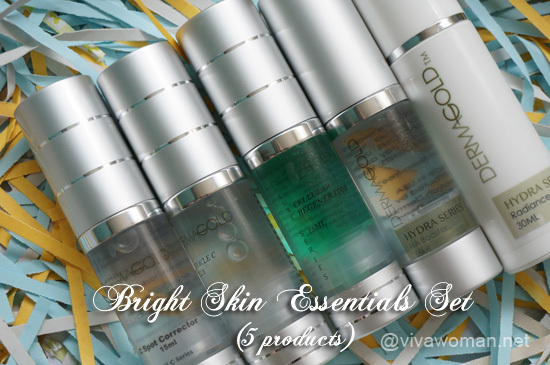 you’ve got great skin for your age! for me, i tend to change my skincare routine because my skin tends to get “comfortable” with my skincare products after sometime and stops being effective. Yes, my skin gets that issue too so I do rotate. Before this regime, I was using mostly SnowBerry products at night so that was a change for me. But for these 2 years, I’ve found myself coming back to the MVO range…and sometimes I switch products within the range too. I did the math, and you put twice as many things on your face as I do! Your skin does look good. As Maniac above says, my skin also gets “used” to products, so I need to change it up. Also, I find that creamy cleansers with chemical exfoliants like AHA or retinol work better for me than grainy scrubs – they’re less harsh. Actually the yogurt that I use in my homemade mask contains AHA from the lactic acid and that’s why I don’t scrub that often too. I also avoid using grainer scrubs as far as possible. I love it..I want to try tonight..Thanks a lot for sharing this ..I cant wait to use it..
karen last post is: How Long Should Arizona Residents Keep Records for their Federal Tax Returns? Interesting to read about your skin care regimen Sesame. Indeed you look beautiful. Very few wrinkles! Hi Sesame, I am thinking of trying out the MVO sunscreen. However on the website the facescreens are all tinted. I think you are using something non-tinted right? Is it discontinued? Thanks! Check out the swatches I posted here. I use the Extra Light Tint one. Oh thanks, that will be the spf 20. I’m looking to get the moisturing spf 30 non-tinted. Worried it will be too dark. Can’t find the non-tinted verson though. They have changed the name – so non-tinted is now the extra light tint in both formulas. I would like to ask, is 24 years old too young to start on collagen supplement? Hmm…depends on your skin. If your skin is firm, then you can avoid to wait a few years later cos it’s going to be a constant investment. 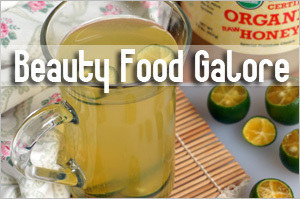 You can also get collagen from the food you take. Generally, my advice is for ladies to start taking such supplements in the late 20s onwards. I think you have very good skin for your age. Your complexion is clear and your pores are hardly noticeable. Gosh I hope I have skin like you when I’m 45. You have good skin! So if you keep to your routine and a good lifestyle, you’ll maintain it well and probably end up with better skin than mine. you surely don’t look 45…I would have put you to late 30’s or may be early 40’s!!!! 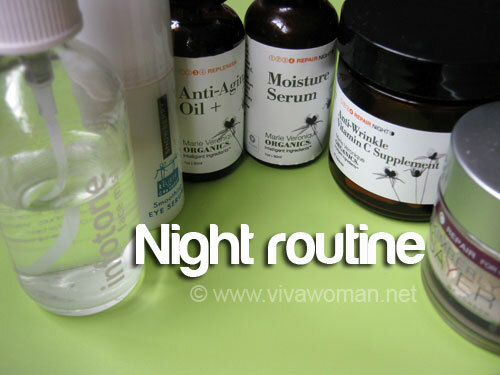 but I am amazed at the nightly routine…applying so many products… doesn’t it becomes heavy??? I apply one a layer of oil and that’s more than enough for me! Not every night…but surprisingly my skin can take it. Thanks for sharing this! Can I just ask: you use 1-2 drops of MVO anti-aging oil+ for your whole face? How do you spread one drop over the entire face? Is it really enough? Yeap, enough. The trick is to apply the oil on a damp first when the toner hasn’t dried totally. Also, warm the oil in between the palm of your hands. If you apply on a dry face, then 1 – 2 drops may not be sufficient. Thanks for sharing your daily products with us! I’m always interested to know what other ladies are using. I don’t like drastic changes in my routine as well but sometimes I need to adjust to the season, e.g. summer/winter. It took my skin like forever to get used to my summer products and now it’s autumn already which means I have to switch products again. sigh. Oh yes, you have seasons and drastic changes in weather to adjust to. We don’t though. Thank you very much for sharing with us your skin care routine. YouÂ´re very brave to show your face without any make up on. I must say your skin looks great!!!. 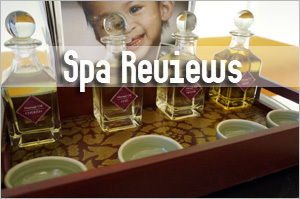 I discovered your blog by chance when I was investigating about Japanese Facial Massage. I think I have many things in common with you. My skin looks like yours (IÂ´m 42) no wrinkles, but some sun spots (I didnÂ´t use sunscreen till I was 35, My desperation about acne was to blame). Having suffered from acne also has some advantages. 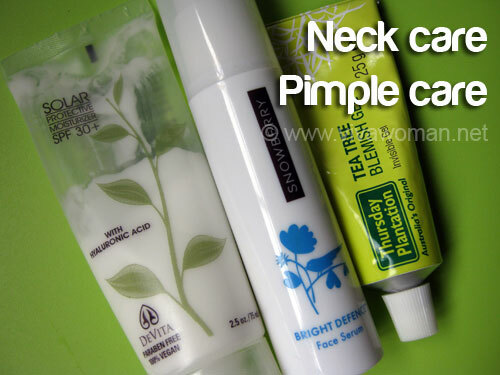 and one of them is the oily skin (better for aging in good condition). IÂ´ve discovered alphabetahydroxyacids which made a big difference on my skin. IÂ´m now using natural oils, like argan oil, and Jojoba, and IÂ´m pretty happy with the results. 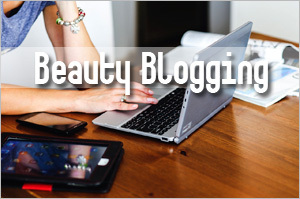 Following your blog IÂ´ve discovered I donÂ´t know any of the brands you use which are quite difficult to get, here in Spain. Anyway your comments are really helpful. Thank you. Ah…yes, probably you have to purchase online and I’m not sure if they ship to Spain. Numeal might try Natura Bisse – a Spanish brand – cream cleanser with AHA. I only use a tiny dab to cleanse in the am, as I use Retin-A at night. (I’ve had adult acne since my son was born, and he is 25!) It is amazing for keeping facial skin clear and smooth. This even works on my husbands keratosis pilaris from sun exposure! I sampled some of the other products, but found them too heavy or harsh (the glycolic line). 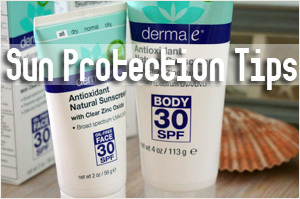 Though I would use the oil-free sunscreen – if I could afford it! Hey Soos, you still have adult acne? Are you keen to be a guinea pig? Let me know and I’ll email you privately. What a surprise, I’m using devita sunscreen for the face too. How do you find it? Thanks for sharing! I am definitely more motivated to keep up with my daily skincare routine after seeing how good you look at your age! Even though I am still in my 20s, but I was recently questioning myself if I should keep up with the routine since I my skin condition(oily and had a rough breakup occasionally) is under control compared to a year ago. Thanks for sharing your beauty routine. You have a very enviable complexion. Like you, I have a smattering of freckles on my face. I admire you for showing them off. It’s people like you who made me realize that having them is okay. I used to have regular peels to lighten them, but now I just let them be. Anyway, I try to stick to organic products now, unlike before. 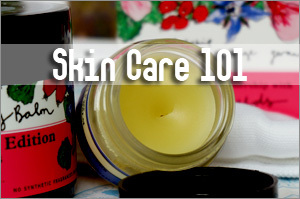 I use sunflower oil to cleanse my face and then I put on a dab of moisturizer everyday. That’s it! My goal is to have your natural glow! Thank you for your comments. 🙂 I think it’s most important we accept what we have so that we won’t feel constantly weighed down by negative emotions about them. 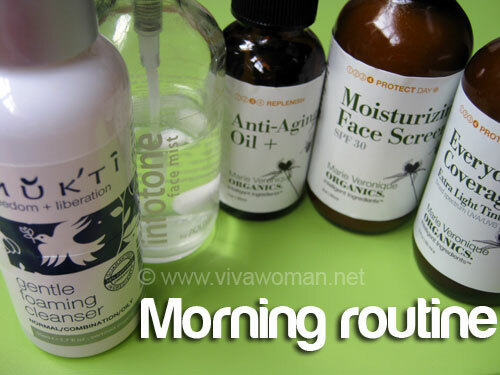 I hope your organic skincare routine will help you going forth…it helped me. But I must also qualify that diet is very important. 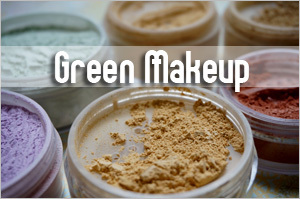 The simplest mask is oat flour + yogurt to make into a paste to be applied after washing your face. Leave on for 10 – 15 mins and then wash off and moisturize as per normal. 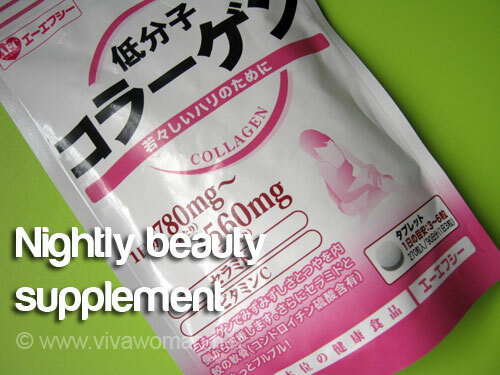 For your age, you can start to use the collagen supplements as well as the products from MVO…no problem. I’m 27 years old Malaysian and have fair and blemish and acne prone skin . May i know if you have done any reviews on MVO’s acne treatment kit, especially the treatment cleanser?I’m a bit deter by cleanser that would cause stripping on my skin as i have been using milk cleanser for some years now. And what about their treatment oil and serum, would they cause greasiness on my face? Sorry for the lengthy questions but i have been facing quite a mishap here after switching products and the acne keeps on breaking out. I came across your blog and like it as i relate myself immediately once i realize we have asian skin .I do hope you could clear my thoughts . By the way, you like marvelous at your age. Hi Yeowhq, yes, I had a review on their treatment series by a guest reviewer here: http://www.vivawoman.net/2012/05/22/marie-veronique-organics-acne-treatment-series/. 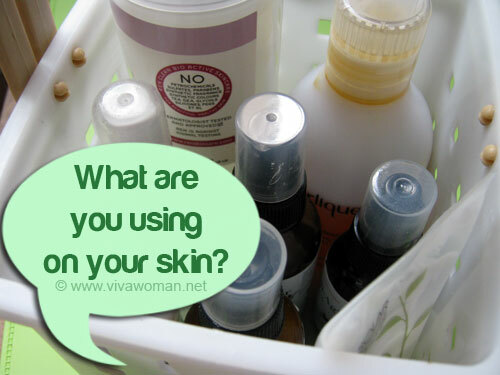 Have you identified what’s causing your acne? If it’s just pimples, it’s most probably due to your skincare products but if it’s cystic types, it could also be due to internal issues. In that case, products will help minimize but not eradicate. hi there… i have acne prone skin. usualy it is kind of easy for me to get rid of the red acne marks.but some months ago i had some pimples on my jaw line. they had gone but the red marks still there. can you give me advice the skin care regime to get my clear skin back? and oh,how many times in a week should i use facial scrub? i usually use a mix of used coffee,honey and palm sugar. is it true that if i use homemade scrb like that,i should use it often? because i think use it like three times a week would be too harsh for my skin. You can try yogurt…I find that helps clear acne marks. 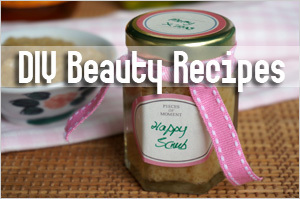 A scrub should not be used more than twice a week…a gentle exfoliator like yogurt can be used more often.